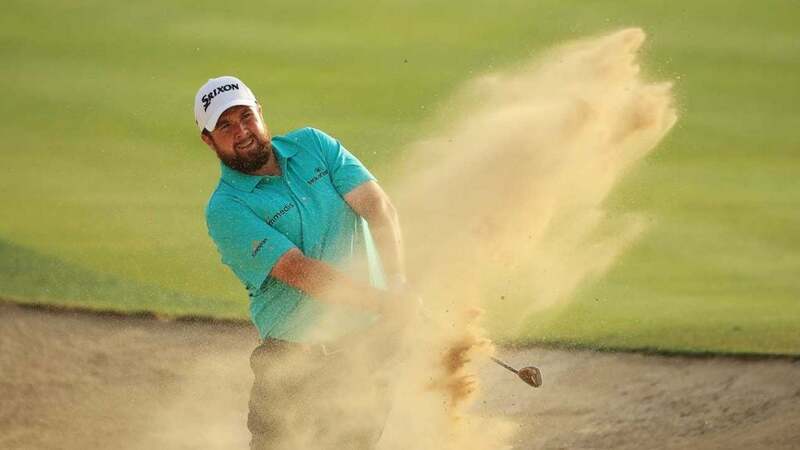 Shane Lowry is chasing after his first victory in more than three years. The strongest field in golf this week is not in America. No, it’s halfway across the world in Abu Dhabi, at the HSBC Championship, and through 54 holes, it’s Shane Lowry’s tournament to lose. Lowry carded a third-round 67 Friday, maintaining his three-shot lead at Abu Dhabi Golf Club at 17 under. The Irishman used seven birdies against two bogeys to inch closer to his first worldwide win since the 2015 WGC-Bridgestone Invitational. Lowry’s lead at one point seemed slightly in doubt Friday as he sat at even par through five holes. But then back-to-back-to-back birdies on holes 6-8 pushed him back out front for good. South African Richard Sterne sits in the second seat at 14 under and will join Lowry in the final pairing. Meanwhile Ian Poulter fired a second-straight 69 Friday and will begin the final round just five shots back of the lead. World No. 2 Brooks Koepka has compiled three straight under-par rounds and is tied for 9th at nine under. Blind shot. From the rough.